Since beginning her radio career in 1980, Laurie has worked at radio stations in Wyoming, Germany and Colorado. She has worked in country, top 40, adult contemporary, sports, and news talk formats. She has done basketball play-by-play and football color commentary. Her favorite career highlight was hosting the live broadcast of the Colorado Avalanche victory parade and celebration in 1996 on KHOW Radio in Denver. Laurie is well-known for her professional interviewing skills and quick wit. She has been part of morning show teams since the early 1980?s?most recently for 13 years on KVOR Radio in Colorado Springs, during which time the station was ranked #1 in the Arbitron ratings. She was also Promotions Director for KVOR. For those 13 years, Laurie also hosted ?In the Loop?, the weekly 30 minute public affairs show that aired on five of the stations in the Citadel Broadcasting group in Colorado Springs. Her work for the community doesn?t end when she gets off the air. 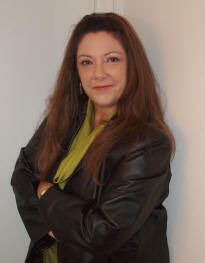 Laurie has been involved with a wide variety of non-profit organizations. She has planned, promoted and/or hosted fundraising events and holiday celebrations for groups like the Bob Tellmosse Christmas Giveaway, March of Dimes, Kennedy Center Imagination Celebration, Springs Rescue Mission, The Red Cross, The Arthritis Foundation, The Fisher DeBerry Foundation, Care & Share, The Salvation Army, Christmas Unlimited, The Colorado Balloon Classic, Territory Days, SpringSpree and local military groups. Laurie was honored by the Colorado Association of Broadcasters as Broadcast Citizen of the Year in 1993. Laurie is well-respected among government and military officials, the local business community, non-profit organizations, and the arts & entertainment community for both her professional news coverage and her personal dedication to the betterment of the community. It is with the pledge of service to the community that Laurie takes on her new role as host of The Consumer Advocate Show. The driving force throughout her 30 year radio career has always been her desire to make her community a better place in which to live, to help foster real communication and understanding among the people of the community, and to stand up for the rights of every citizen. Those ideals will be top-of-mind as Laurie begins this new chapter in her career.